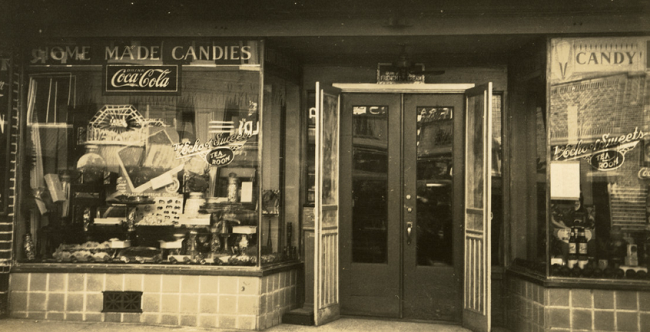 The Echo of Sweets Tea Room during the 1930s in downtown Jackson (Welty’s hometown for 92 years). Image courtesy of the Mississippi Department of Archives and History. During a 1978 interview, Eudora Welty mentioned Mark Twain and Henry James as her literary antecedents and then added, “Ring Lardner—he’s a classic to me.” Lardner’s influence is unmistakable in Welty’s story, “Petrified Man,” which is reminiscent of his classic story “Haircut” (last week’s Story of the Week selection). The setting shifts from Lardner’s barber shop to Welty’s beauty salon, and both stories are told almost entirely in gossip-filled vernacular. “Haircut” mocks what Donald Elder called “the witlessness of a whole vein of American comic tradition,” particularly of mean-spirited pranks; similarly, “Petrified Man,” commented Katherine Anne Porter, “offers a fine clinical study of vulgarity.” The parallels between the two stories were not lost on Welty’s contemporaries. One early reviewer wrote, “ ‘Petrified Man’ could have been written by Ring Lardner, if he had been a Mississippian.” It remains one of Welty’s most famous stories. But it was almost never published. When F. Armstrong Green (Jacksonville, Florida) wrote to us and suggested that we offer “Petrified Man” as a Story of the Week selection, he reminded us of the story’s unusual publication history. In 1937 Welty sent the manuscript to Robert Penn Warren and Cleanth Brooks, the founding editors of the newly established The Southern Review. 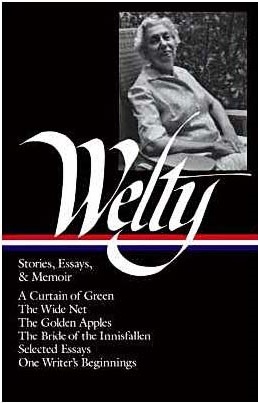 They rejected the story with words of encouragement: it “struck us as first rate” and they were “absolutely confident that, if you are good enough to submit other work to us, we can publish your things in The Southern Review.” But Welty was so disappointed in their refusal that she burned the only copy. “Reach in my purse and git me a cigarette without no powder in it if you kin, Mrs Fletcher, honey,” said Leota to her ten o’clock shampoo-and-set customer, “I don’t like no perfumed cigarettes.” . . . If you don't see this week's selection below, click here (PDF) or click here (Google Docs) to read it—free!